It took all of 20 minutes. Sadly, it’s no longer so easy. As a result of so many new regulations, FATCA being chief among them, for U.S. citizens opening a bank account overseas has become more difficult. But just because it’s not easy doesn’t mean it’s not worth doing. Tip #1: Visit the bank in person. Increasingly, to open a bank account anywhere, you need to make a personal appearance. That’s a consequence of stricter “know your customer” rules in effect in every country. Even when it’s not required, visiting the institution where you plan to deposit a substantial portion of your wealth is a good idea. Plus, a personal visit will give the bank more reason to trust you. Tip #2: Don’t mention tax. When opening the account, your account representative will ask you why you want to open the account and how you intend to use it. If anything in your answer hints towards tax benefits, your application may be turned down right away. International banks do not want to get caught in the IRS’s net, and no institution wants to risk the same fate as Credit Suisse or numerous other international banks that have been fined or even effectively shut down by the U.S. If you’re asked why you want to open an account, one option is to explain that you want to access investments unavailable in the U.S. You could also say that you wish to diversify in a foreign currency or that you plan on buying real estate. “Geographical diversification” is also an acceptable reason in many cases. Tip #3: Convey the legitimacy of your funds. Approach the bank with an open and transparent attitude about your money. They will want to know your funds have a legitimate source and that there’s no evidence of impropriety. You can do this with a reference letter from your existing bank, stating that your accounts are in good order and are operated in a satisfactory manner. Notarized copies of statements from the accounts you’ll use to fund your new account and a sworn affidavit explaining the source of the funds will also ease the transaction. Tip #4: Don’t fund the account with cash. While it’s a popular staple of Hollywood films showing offshore banking, it’s not a good idea to try to open an account with cash. Most banks discourage the funding of accounts in cash, and in some countries, it’s not allowed. Instead, transfer the funds by wire. That way, you’ll avoid arousing any suspicion or allegations of money laundering. Tip #5: Have a non-U.S. legal residence. If you have a bona-fide residence outside the U.S., it’s often easier to open foreign accounts than if you’re a U.S. resident. FATCA reporting issues will of course still apply, but one foot out of the country will give you an advantage. 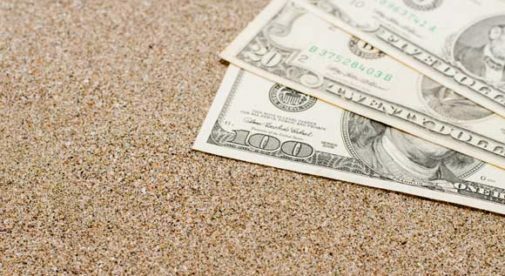 By following these tips, you can greatly increase the odds of getting an offshore bank account. Multibank, based in Panama, is a good option. It’s especially attractive if you’re looking to park some money in U.S.-dollar CDs earning 3% or more. A personal visit is required at this bank. The minimum deposit is $5,000. Wiener Privatbank, based in Austria, is another excellent choice. Unfortunately, it’s not the easiest bank to get into. Standard minimum is $500,000. Clients of The Nestmann Group can open an account with just $250,000, but this is negotiated on a case-by-case basis. The “i-Account” isn’t a brick-and-mortar bank. Instead, it’s an online financial account you can use like a bank account. It is offered through a Hong Kong financial services company using various banks, primarily in China, as custodians. You can hold your i-Account funds in your choice of 22 currencies, including U.S. dollars, euros, British pounds, Canadian dollars, and Australian dollars. You can also exchange among these currencies instantly with no added fees.